The sky is full of magic colors at sunset over Lobster Cove Lighthouse in Gros Morne National Park in Newfoundland Labrador, Canada. 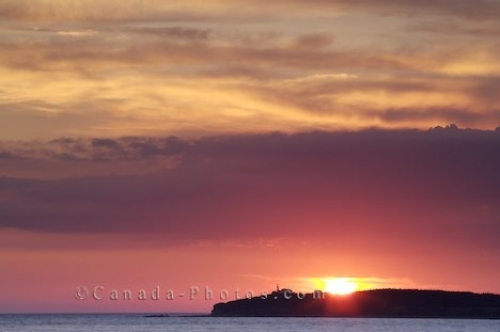 Mother Nature has her own bagful of magic that creates a stunning sunset above Lobster Cove Lighthouse in Gros Morne National Park in Newfoundland Labrador. The soft colors that highlight the sky will soon disappear as the sun is close to calling an end to another beautiful day around Rocky Harbour. Lobster Cove Lighthouse seen from Rocky Harbour, Gros Morne National Park, UNESCO World Heritage Site, Viking Trail, Trails to the Vikings, Highway 430, Newfoundland Labrador, Newfoundland, Canada. Picture of a lighthouse in Newfoundland Labrador as the sunset emits an array of colors turning the sky into a magic scene.